Lionel Messi (Barcelona) takes the free kick and unleashes a strong shot from mid-range. Unfortunately for him, the ball curls inches over the crossbar. What a squandered chance! Substitution. Sergio Busquets makes way for Malcom (Barcelona). It's in the back of the net! Ivan Rakitic is the provider as he slips the ball to Luis Suarez (Barcelona) who simply steers it home from close range. It's 3:1. Philippe Coutinho comes off the pitch to be replaced by Ivan Rakitic (Barcelona). Here is a change. Alvaro Garcia is going off and Michel gives the last tactical orders to Adri Embarba (Rayo Vallecano). Sergio Busquets (Barcelona) has to be very careful for the rest of the match after receiving a yellow card from the referee for a bad tackle on an opponent. Luis Suarez (Barcelona) passes the ball onto Lionel Messi, but one of the defenders dispossesses him. Lionel Messi (Barcelona) plays a one-two with Luis Suarez, but the move breaks down. Nothing comes of the resulting corner from Alvaro Garcia (Rayo Vallecano). The defence is alert and manages to cut it out. Rayo Vallecano have a corner. Raul De Tomas (Rayo Vallecano) delivers a low pass into the box which is intercepted. A horde of players are waiting inside the penalty area for a cross from the corner, but Philippe Coutinho (Barcelona) takes it short. Luis Suarez (Barcelona) tries to pass the ball into the penalty area but it's blocked. Barcelona win a corner. Philippe Coutinho (Barcelona) works the corner short. Lionel Messi (Barcelona) elects to shoot from the edge of the box instead of sending the free kick into the box, but the defensive wall manages to block the shot. Wasted opportunity! Barcelona force a corner. They send men into the box. Barcelona are about to take a free kick from a very dangerous position. Emiliano Velazquez (Rayo Vallecano) is booked after bringing down an opponent. Mario Melero Lopez had an easy-decision to make. Emiliano Velazquez (Rayo Vallecano) is penalised after knocking an opponent down. Emiliano Velazquez (Rayo Vallecano) takes the corner, but one of the defenders reacts well and rises highest to head the ball away. The referee blows his whistle, Rayo Vallecano are awarded a corner kick. Substitution. Pozo (Rayo Vallecano) replaces Jordi Amat. Lionel Messi (Barcelona) receives a diagonal pass, bursts into the box and shoots low towards the middle of the goal. Stole Dimitrievski is well positioned, though, and it's a comfortable save. Philippe Coutinho (Barcelona) quickly takes the corner kick with a short pass. Goal! Lionel Messi (Barcelona) wins the battle of wills and sends an unstoppable penalty past Stole Dimitrievski into the bottom right corner. Lionel Messi (Barcelona) is heading towards the penalty spot to take it. Mario Melero Lopez blows his whistle after Jordi Amat (Rayo Vallecano) brings one of his opponents down with a strong tackle. The referee makes the call - penalty to Barcelona! Ernesto Valverde Tejedor has made a change at the break. 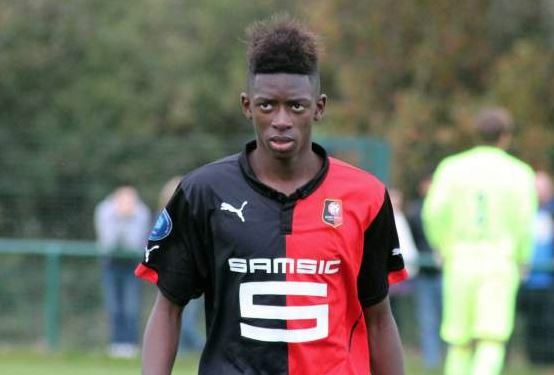 Ousmane Dembele has come on in place of Arthur (Barcelona). There will be nothing more to see in the first half. The whistle blowing of Mario Melero Lopez has ended it. Lionel Messi (Barcelona) is caught offside by the linesman and it looks like it is the right decision despite being a very close call. Alvaro Garcia (Rayo Vallecano) whips a promising cross into the box, but the opposition's defence intercepts the ball. Jordi Alba (Barcelona) goes on a solo run, but he fails to create a chance as an opposition player blocks him. It will be a corner kick for Barcelona. It's in the back of the net! Lionel Messi flights the free kick into the box, where Gerard Pique (Barcelona) peels off his marker and heads straight inside the upright from the edge of the six-yard box. He makes it 1:1. Rayo Vallecano concede a free kick following a bad challenge. There is a free kick near the sideline to Barcelona. Lionel Messi (Barcelona) bursts pass a defender and attempts to score from the edge of the area, but the shot goes high over the bar. Philippe Coutinho (Barcelona) takes the corner kick but the ball only finds the head of an opponent. Jordi Alba (Barcelona) commits a foul and Mario Melero Lopez immediately signals a free kick. The corner from Lionel Messi (Barcelona) is hurriedly cleared. The ball goes out of play. Barcelona are awarded a corner kick. Philippe Coutinho (Barcelona) fails to send a pass into the box as his effort is cut out. Lionel Messi finds the head of Gerard Pique (Barcelona) with a clever free kick, and he crashes in a powerful close-range header at goal that just flies past the left post. Unlucky! Lionel Messi (Barcelona) takes the ball and sets it for the free kick. Mario Melero Lopez blows his whistle. Emiliano Velazquez (Rayo Vallecano) commits a foul after dangerous play. Barcelona have a free kick. Lionel Messi (Barcelona) takes the resulting corner which is well defended. Goal! Raul De Tomas (Rayo Vallecano) weaves his way past opponents, and he unleashes a magnificent effort from the edge of the box into the bottom right corner. Marc-Andre ter Stegen had no chance of reaching it. The score is 0:1. Philippe Coutinho (Barcelona) picks up a precise pass deep inside the box, but his strike is saved by the keeper. Luis Suarez (Barcelona) attempts to convert a cross into a goal, but his promising header from near the penalty spot towards the bottom of the right post is denied by a decent save from Stole Dimitrievski. A cross by Philippe Coutinho (Barcelona) from the side of the pitch flies into the box, but fails to find its intended target as the aim was poor. The ball is cleared after Lionel Messi (Barcelona) attempted to dribble past an opposing player. Philippe Coutinho (Barcelona) decides to speed play up with a short corner kick. Philippe Coutinho (Barcelona) takes the corner but only sends it into a huddle of the defenders and one of them makes a good clearance. The ball goes behind for a corner. Barcelona will have an opportunity to threaten the opposition's goal. Lionel Messi (Barcelona) shoots the direct free kick on goal from the edge of the box, but the goalkeeper makes a crucial save. Good work from Barcelona as they win a corner. Rayo Vallecano have been awarded a corner kick. Bebe (Rayo Vallecano) attempts to send over a cross in order to find one of his teammates, but an opposition defender averts the danger by intercepting the effort. Raul De Tomas (Rayo Vallecano) looks to break free, but an opposing player clears the ball away. Barcelona work the corner short. The ball is passed to a nearby teammate. Barcelona will kick the game off. Mario Melero Lopez is the one to supervise the game today.